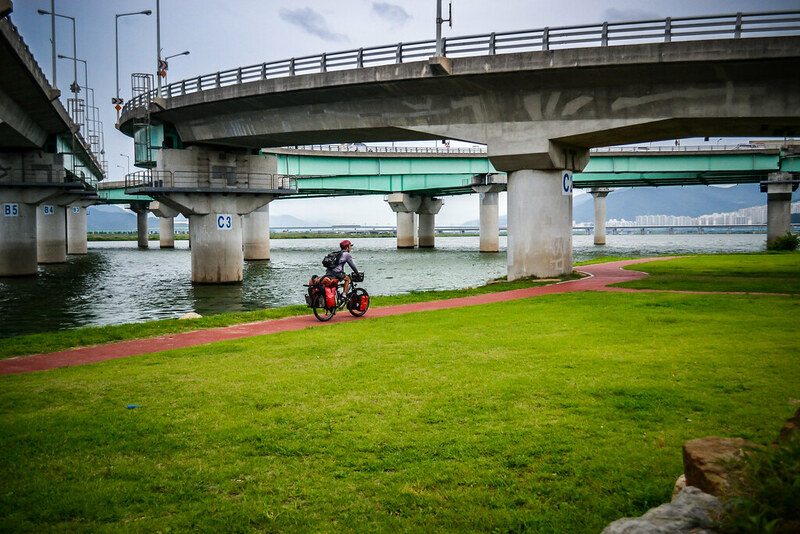 I followed the link and discovered a bike trail linking Busan (where we’d arrived on the ferry from Japan) to Seoul (where we needed to get to in order to sort out Philippine visas and a new passport for Eric). Could it really be so easy? 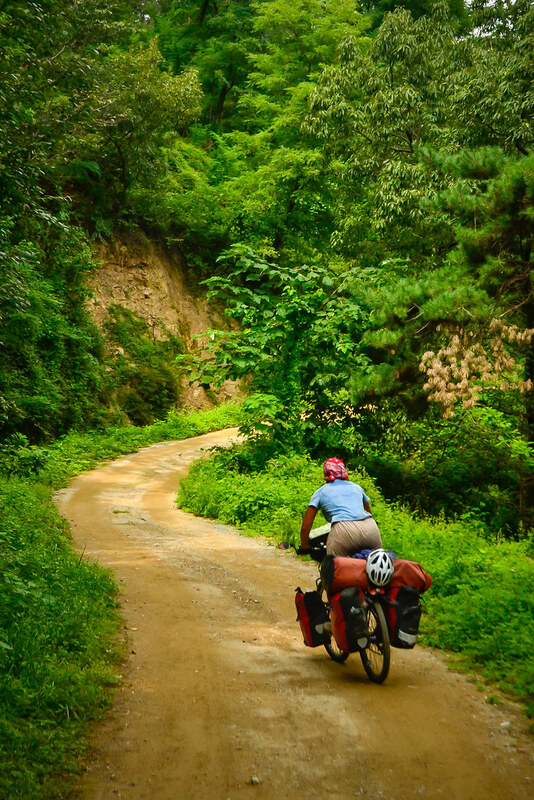 Why hadn’t we heard of Korea’s cycle routes? We’d checked out a few Crazy Guy on a Bike blogs and only heard about hills (we’d had enough of those in Japan) and heavy traffic. This bike trail business sounded too good to be true. But there it was…we could hop on the Nakdonggang river trail just outside of Busan, then we’d switch to the Saejae River trail, after that on to the Namhanggang and finally we’d follow the Han River right into the center of Seoul. 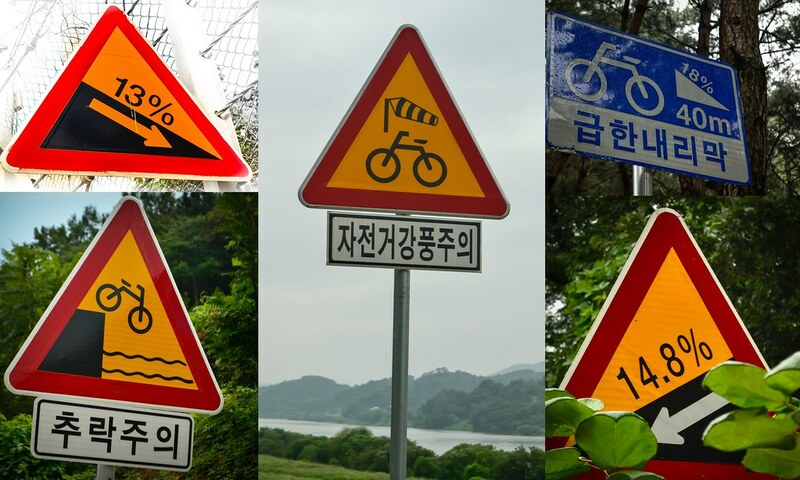 So many bike patch criss-crossing Korea. Once the word gets out, I’m sure the country will be swarming with cycle tourists. Our Japan tour got off to a less than auspicious start (note to self: never again cycle heavily populated urban corridors like Osaka-Tokyo). The rain, heat, humidity and terrifying tunnels had taken a toll on morale. Korea HAD to be fun. A nice easy ride along the river ways might be the recipe for rediscovering why we have devoted a big chunk of our lives to two-wheeled travel. Busan’s a big city. 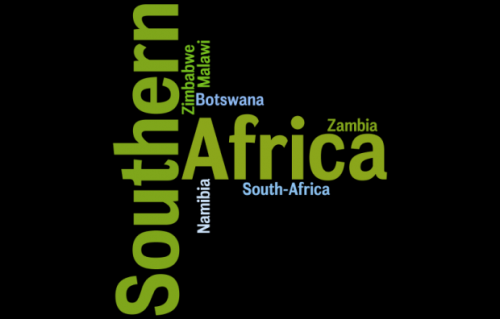 The metropolitan area has a population of 4.5 million. The first thing that struck us was the hustle and bustle of city life. In Japan, things were always pretty sedate. In Korea, people jostled in the busy markets and sellers called out to potential customers. Outside the posh shopping districts, the city had a gritty edge to it. Our kind of place. 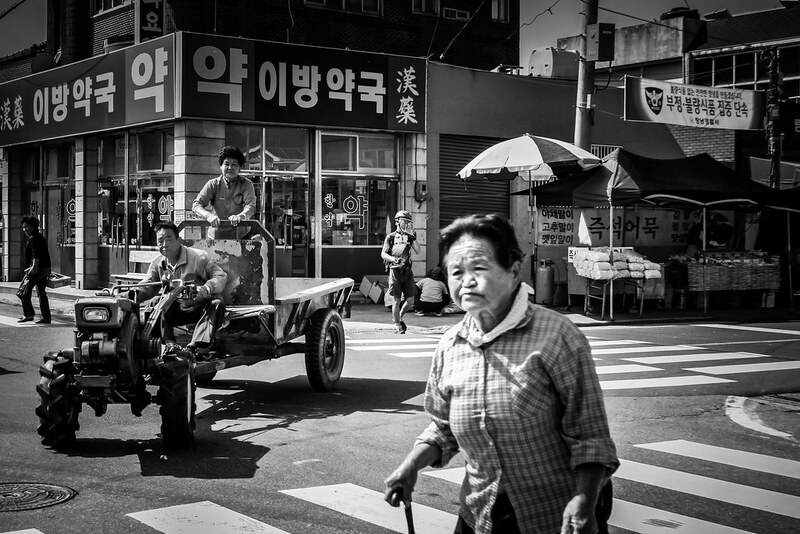 Koreans are less shy and inhibited than the Japanese and strangers often come up to chat. Getting directions poses no problem in such a well-wired country. EVERYBODY totes a smart phone and they’ll gladly pull up Google maps and point you in the right direction. And Koreans are CRAZY about cycling. The whole country has taken up mountain biking with fervor. On our fully-loaded machines, we almost feel like rock stars at times. Locals cheer as we pass and shout encouragement such as “you are great!” Our self-esteem is not floundering. And, yes, it’s FUN to cycle in Korea. 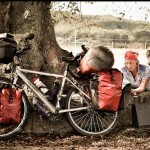 A safe place to sleep is usually top on the list of a cycle tourist’s basic needs. Korea probably ranks as our new number one place for ease of camping. These beautiful gazebo-like structures are found all over the country. They are great for camping when it rains ( and boy has it rained since we hit Korea!) Toilet facilites are not quite as nice as in Japan, but still clean and tidy. This was our first day riding in Korea through the outskirts of Busan. The bike path was in excellent condition and pretty easy to follow. 90 percent of Koreans live in high-rise tower blocks just like these. Luckily, you don’t see much of this bland urban scenery when you follow the bike path. In fact, the river rides skirt the cities almost entirely. The only drawback is that you have to pop off the path to find a supermarket. Sometimes it’s a little tricky finding your way back. The Korean government has invested massively in cycle routes. There are many stretches like this one built right out over the water. 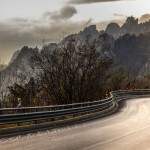 The train tracks grip the mountainside and beyond, a busy road chocked with traffic. On the bike path, life couldn’t be more serene. If you slip off the bike path and wander around any city or town sooner or later you’ll stumble upon a bustling market. 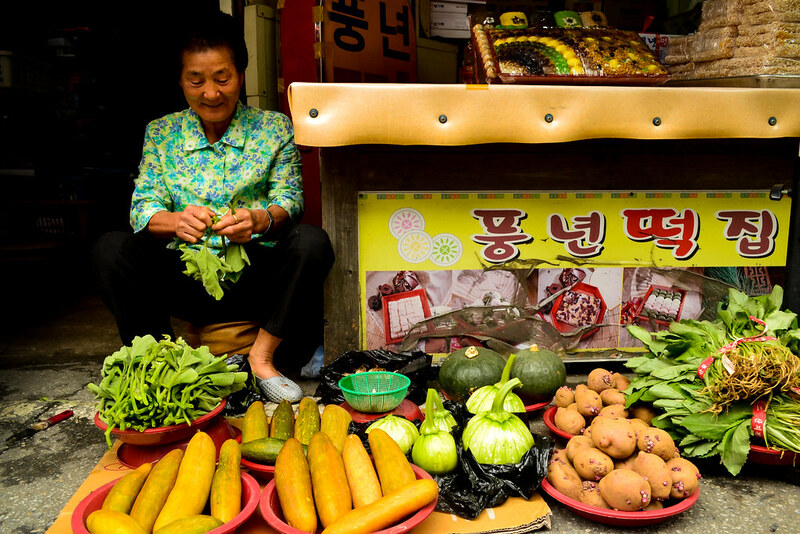 Women display colorful vegetables and the smell of kimchi permeates the air. Small town like this remind me of life in China whereas the big cities have all the glitz of Tokyo. Villages are often inhabited by only the elderly. The younger generation all want office jobs and smart phones. A lot of farming appears to be pretty small scale and much of the work seems to be done by hand. On one steep section of road we came across a woman who looked to be in her 70’s hunched over under a large sack of potatoes. She was obviously used to such loads and didn’t seem to mind the work, but I couldn’t help feeling a bit sad that younger family members weren’t there to lend a hand. Those pancake-flat cycle trails didn’t last forever. A number of short steep climbs left us gasping for breath. This section offered two options: MTB and Road Bike. Guess which one we ended up on? it was a beautiful ride, but when we were way on top looking down below at the easy option ,a tiny tinge of regret bubbled up. Th closer we approached Seoul, the busier the bike route became. There are lots of newbies on the road, like this duo who were attempted their first puncture repair. 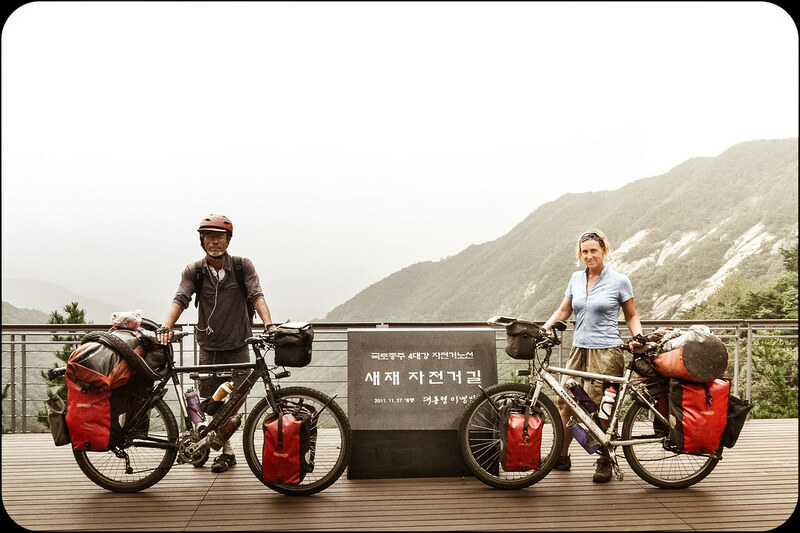 This is the highest point on the ride between Busan and Seoul. it’s just over 500 meters but the local cyclists all get very excited about ‘the big climb’ and whip out their smart phones to commemorate the accomplishment. We thought we better snap a few photos just to fit in with the crowd. Naturally, there are temples and all sorts of cultural attractions to visit along the way. There are lots of nice people to meet, too. 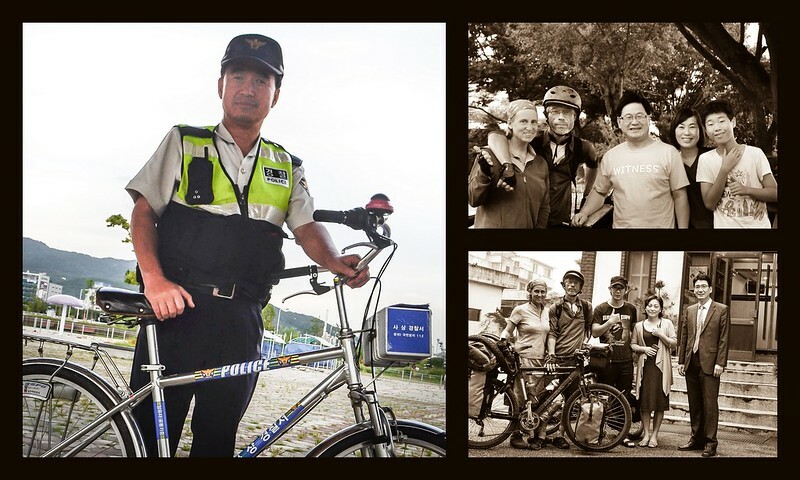 This police officer cycled over on our first day just as we were setting up camp in the Busan suburbs. He was very friendly and even decided to turn a blind eye to the fact that we were cooking in the park. In spite of his limited English, he was a great communicator. When we didn’t understand his English pronunciation he would spell the words. The other shots are of church families who spontaneously hosted us for the night. Really nice people who all spoke excellent English. 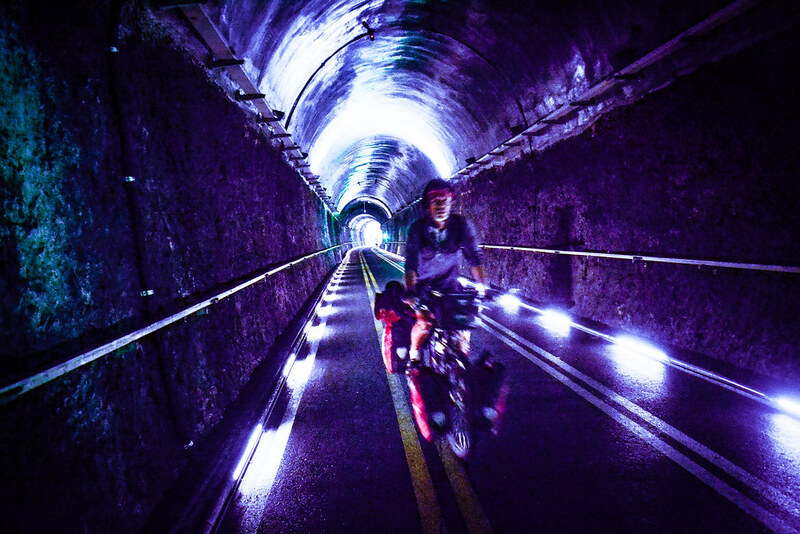 Before we reached Seoul, there were even a few tunnels to conquer! Not the terrifying kind, these are cyclist only. 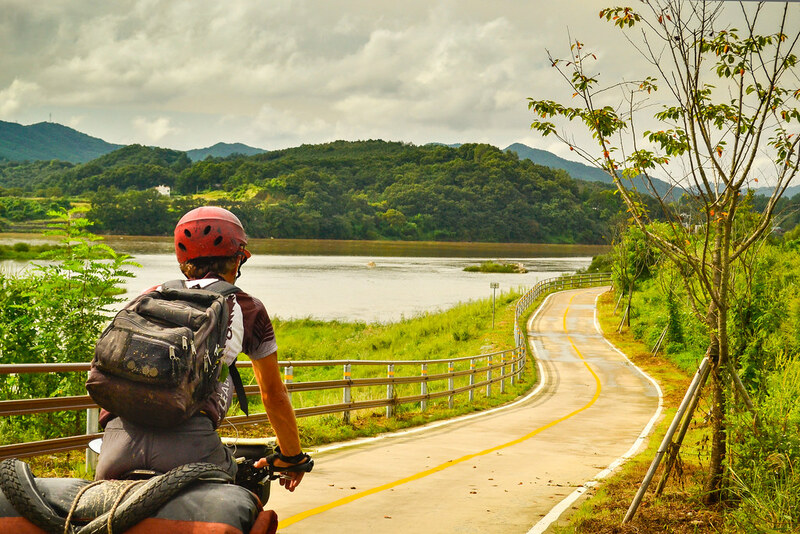 The riverside bike trails in Korea are even better than I imagined. The only thing missing is that element of adventure. It kind of feels like a holiday. 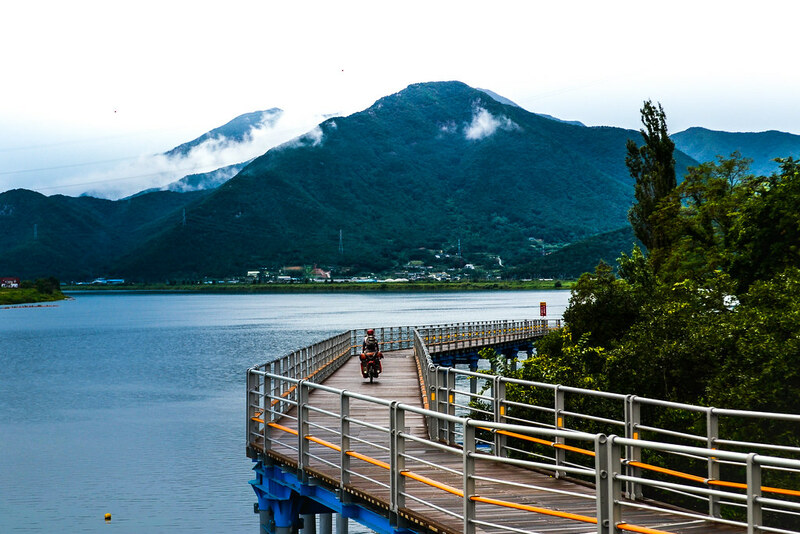 If you’re taking a ferry between Japan and Korea try Kampu Ferry from Shimoneseki to Busan. This company often offers half price tickets to cyclists. 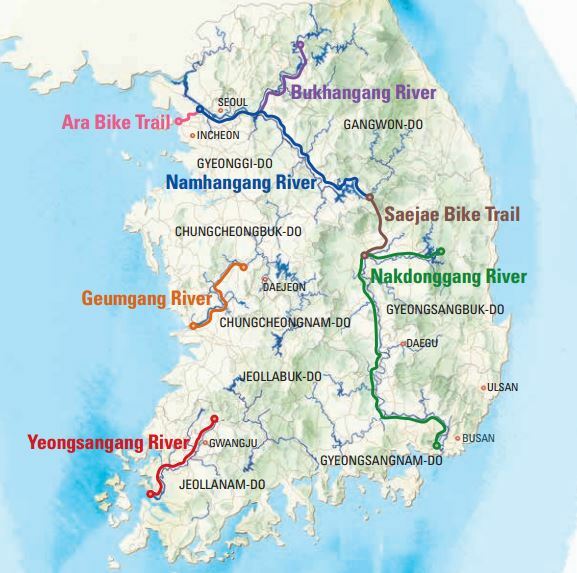 To plan your own Korea bike tour check out the excellent 4 Rivers Cycleway Guide. A big thanks to Byron Kidd of Tokyobybike.com for suggesting the route and to Jared Mitchell at Braking Boundaries for help with our arrangements in Korea. 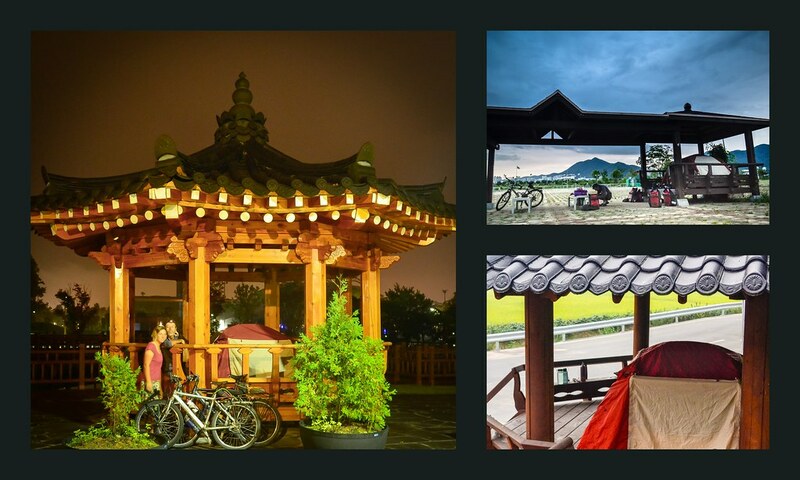 Visit our Bike Touring Korea Flickr Page to see more Korea cycle touring photos. 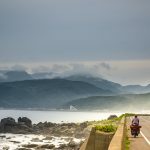 Just read your article about cycling in South Korea and loved it! It reminds me when I cycled there in 1989. Back then, there was absolutely no bike trails and roads were completely crazy to cycle on, traffic at some place was hell, and pollution in big cities was terrible and nobody speaks english!!! But we had a wonderful time there, complete cultural shock, people were so friendly and curious about us, and food was fantastic (when we started to understand that this red stuff they put almost in every recipe is REALLY hot!) But at the end of the trip (6 weeks) we were asking for a double portion of kimchi. My favorite meal was pipimbap. Well, I guess I have to go back there to see all the changes…I still know few words of korean…could be fun to practice again! I’m looking forward your next destination stories! Congratulations on completing the big USA tour! Judging from the pictures on your blog, you had a blast! You will definitely have to take another spin around Korea and see how this country has gone cycle crazy. This part of the world is transforming fast. Keep us posted on your ride down through South America and welcome home–relax and enjoy some time off the therma-rest. 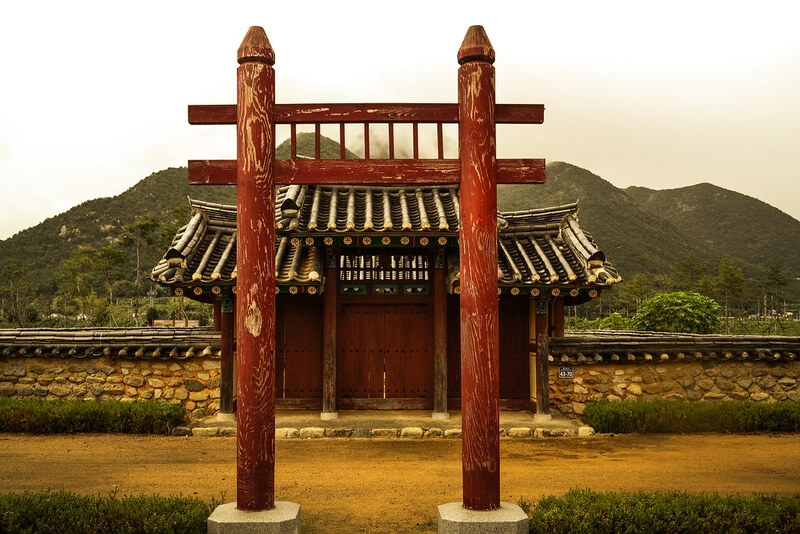 Really enjoyed your photos & trip notes about Korea. I would never have thought they had world class cycling paths. Most stretches are suitable for a recumbent–just make sure to avoid the MTB option! We’re headed to the Philippines next so maybe see you there! I stumbled on your blog and… all I can say is : it’s great! 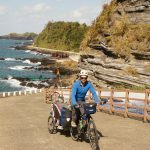 All this information about bike touring and good advices for people planning to go in southeast Asia. Thanks a lot for sharing your knowledge and passion. It’s communicative. Great photos as usual. Glad to hear you’re enjoying South Korea so much. Kristin and I hosted an exchange student from the Jeollanam-Do province a few years ago and got to visit her country and meet her family. We really enjoyed our time there, and found the Korean people to be very hospitable. If you get to Seoul and have some down time, take in a baseball game if the season hasn’t ended it. Very inexpensive and a wonderful way to experience Seoul. I’m a cycler who live in Korea. You had a nice experience in Korea. I wish you can finish your travel as safe. It was very interesting that read a foreigner’s travel diary. 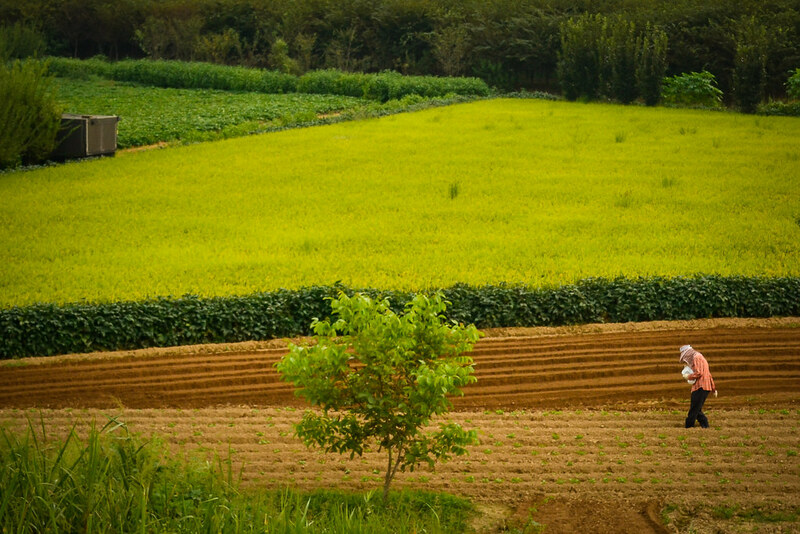 Thanks for your nice photo and ments about Korea. we’re in Japan at the moment and starting to think about routes in South Korea. The information here is really useful – thankyou!! How long did you spend in Korea? 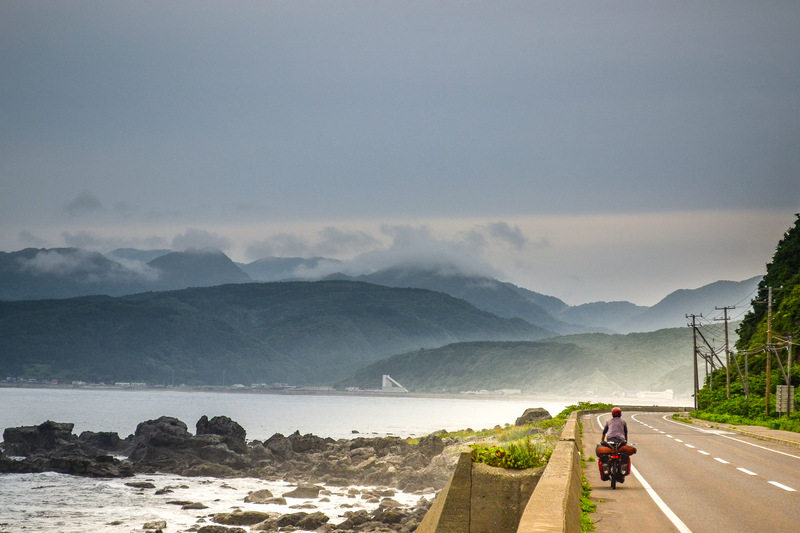 We’ve been in Japan for the last 3 months and wondering how long we should spend in Korea….I know you took the bike route from Busan to Seoul but where else did you ride? Thankyou!! our planned ferry from Sakaiminato to Donghae has been cancelled because of a typhoon and so we’re going to cycle on to Shimonoseki to take the ferry to Busan. I think you also took this route? The Kampu ferry website says we will need bike bags but I just wanted to check with you if this is true, also I realise it might’ve changed since you went. Thanks anyway if you have any info! !